A Rabbit Mask including one full overhead latex mask with a white Rabbit design – Ideal for an Animal theme, Halloween, or any other fancy dress occasion! Don’t be late for the party with this fantastic Rabbit Mask. 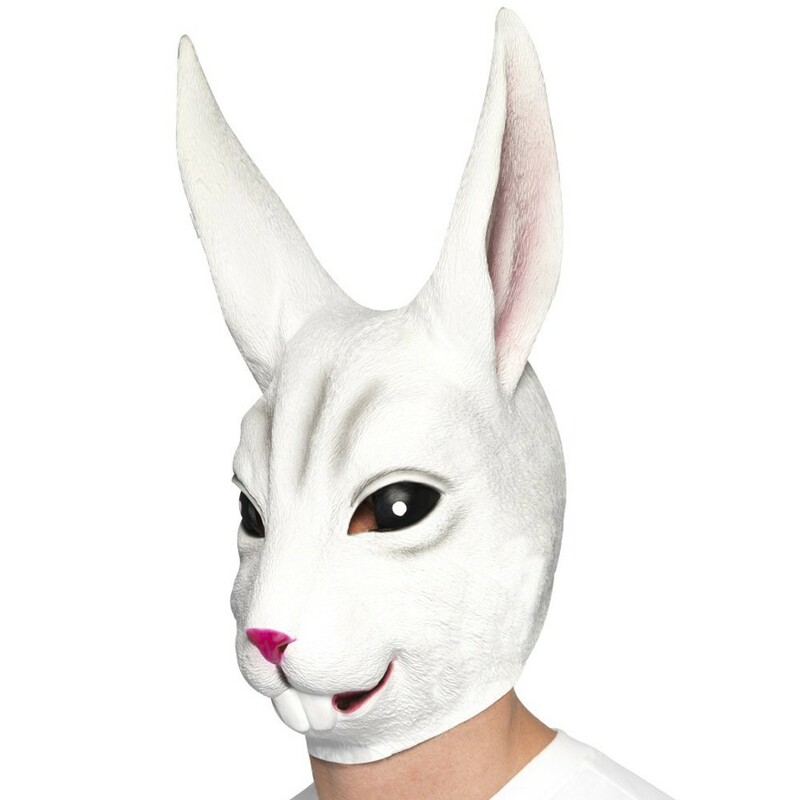 This Rabbit Mask comes complete including a white overhead Latex mask that features attached long white ears, a pink nose, and two front teeth for this iconic look. This Rabbit Mask features two holes that are integrated into the Rabbit eyes on either side to see out of. The Rabbit Mask is perfect for any Animal theme, a Fairy Tale theme, TV & Film theme, Book Week, Halloween, or any fancy dress occasion! So get going down the rabbit hole or you’ll be late with this brilliant Rabbit Mask.